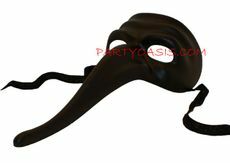 This popular black long nose eye mask is made of paper mache then decorated with a black glitter design. 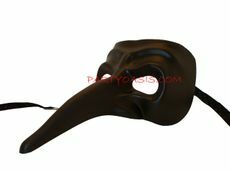 Easy to coordinate with your ladies mask. 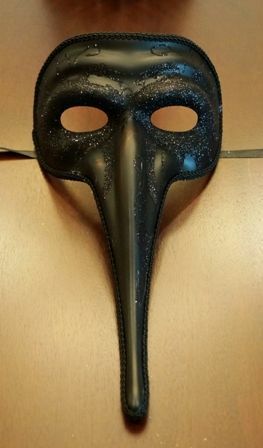 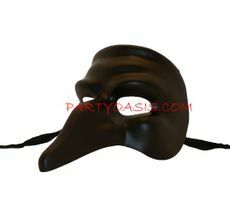 An all black mask is always a solid winner when is comes to making a striking entrance to your masquerade party.